Make event management easier with EventNook! Is it hard for you to manage your event with hundreds... or EVEN thousands of participants? Is it painful for you to register and track your attendees manually and tediously during the event day? Or is it giving you worries to see the frowning faces from your important guests as they have to wait in the long queue line? According to the surveys done by events, most of the event delegates are also frustrated with very slow registration process and long waiting time as the delegates, thus missing out their precious time to enjoy the activities such as networking opportunities, opening speech, or to be seated on time. If these are your problem in our events, then we have a good news for you! 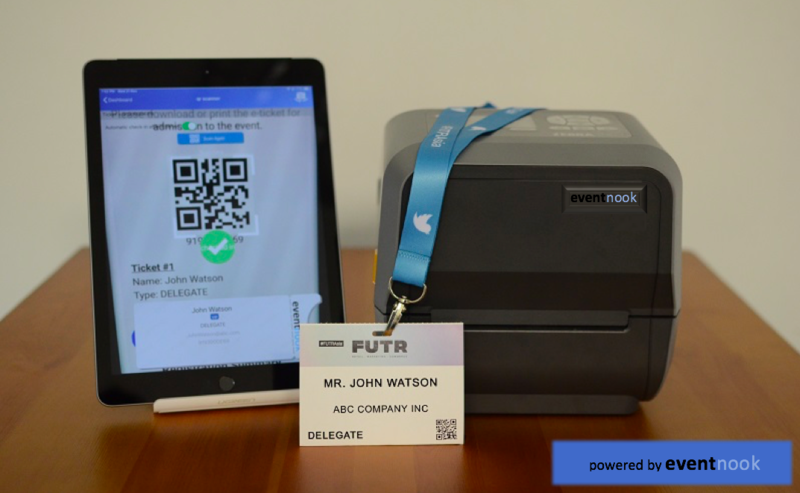 If you have started event planning for 2019, we would like to invite you to join a session and learn how our event management solutions, such as pre-event registration, mobile Kiosk check-in QR Scan, and instant badge printing can significantly improve your delegate's experience and handle major events with a lean efficient team. In fact, EventNook can do both check-in and print your attendees each within 2 seconds! Sounds too good to be true? Come for our Free LIVE Demo with us to see the miracles happen with your eyes. After all... Seeing is Believing right? For those of you who have known about us, EventNook invites you to join as well as we will announce our new features which can definitely improve your event management experience with us!